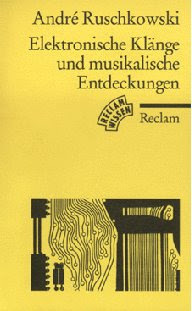 See the Synth Books label for more. 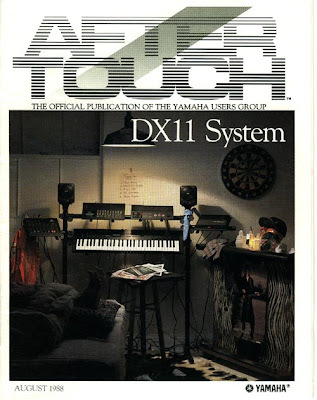 Also see the scans label for more synth documentation. 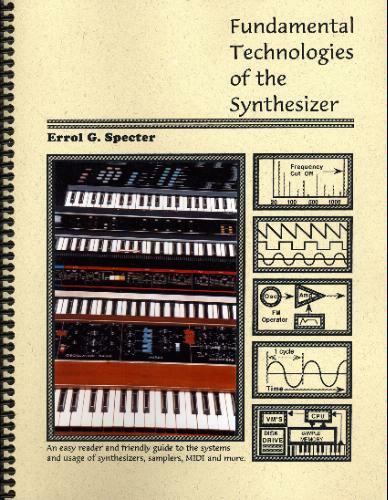 Synthesizer Basics by Bob Moog, Roger Powell, Tom Rhea, Steve Porcaro, and others. This one is not listed on Amazon. You can find more info at this post. 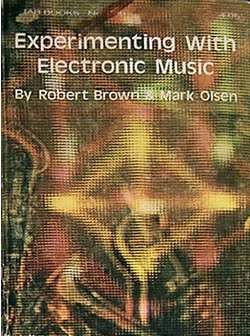 Experimenting with Electronic Music, 1st ed. - See this post for contents. 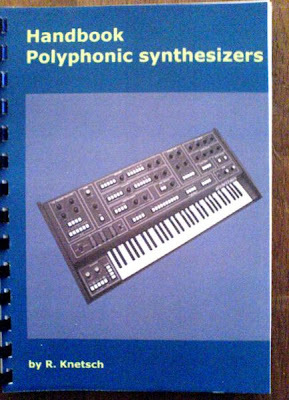 Learning Music With Synthesizers on Amazon. "Description: 1974. Paper. Milwaukee: Hal Leonard. First edition. 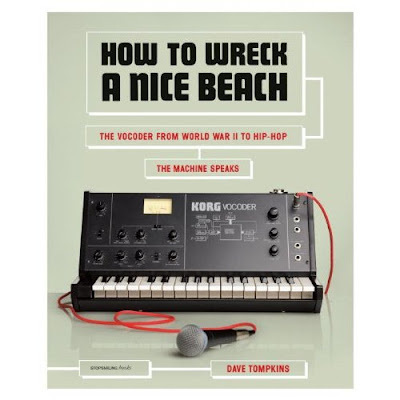 Learning Music With Synthesizers FRIEND, PEARLMAN & PIGGOT, DAVID, ALAN R. & THOMAS D.
How to Wreck a Nice Beach on Amazon. 336 pages. 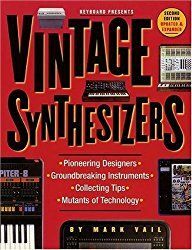 "When first looking at this book, the initial question on most readers’ minds might be: What the heck is a vocoder? 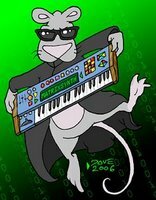 Simply put, the vocoder (invented in the late 1920s) took human speech and broke it up into its constituent frequencies, thus allowing that voice to be transmitted electronically, and reassembled and synthesized at the other end, reproducing the words, if not the sound, of the original speech. The vocoder was developed as a means of encrypting speech, of protecting transmissions from prying ears. But, over time, it found other uses, in movies, television, and music (if you want to imagine what it sounds like, recall the Cylons from the original Battlestar Galactica). Eventually, what began its life as a tool for cryptology became a pop-culture icon. Tompkins tells the vocoder’s story with great relish, as though he can’t believe how mind-blowingly cool the device is, and it’s impossible to read the book without being caught up in his enthusiasm. This one has cult audience written all over it. 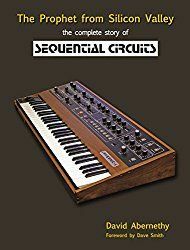 --David Pitt "
"Although a little dated, this book offers both the novice and intermediate student of the synthesizer a great foundation for the basics of sound structure and synthesizer functionality. It utilizes clear, concise language that is not overly academic or boring. It is written in a friendly fashion that makes you feel that the author is talking to you as if he was standing right next to you. It is very relaxed. 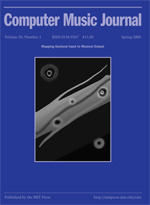 It has been used at Modesto Junior College (I am a former student) as the primary textbook since 1995. It covers all of the basic forms of synthesis as well as a chapter on the synthesizer's basic relationship with computers and a chapter on how to look for and purchase a synthesizer based on your needs and finances. 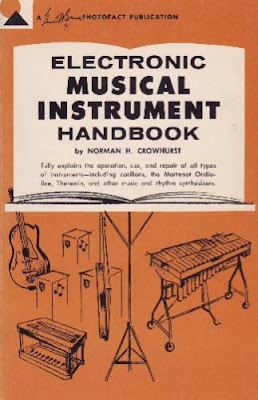 It also covers the fundamental principles of MIDI. 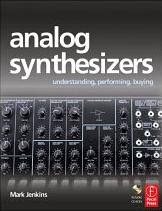 If you are wondering about how you are going to learn about your new syntheizer without taking a college course, this book is definately the way to go. It is absolutely packed with an incredible amount of very useful information. Do not hesitate to purchase this book. 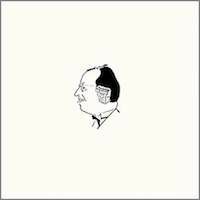 It is well worth the money." on Amazon as well, but no additional info. 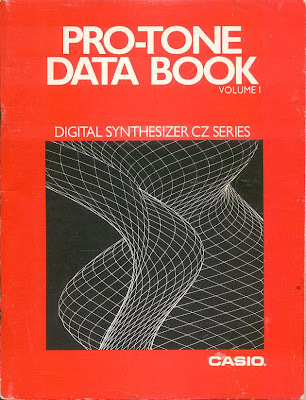 This may not be a synth book after all - see the update in this post. 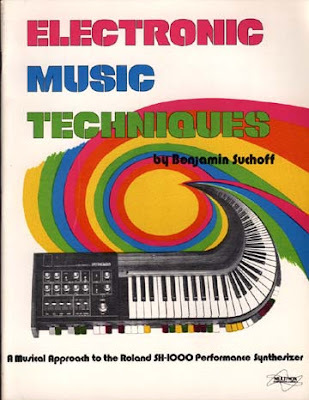 "An exciting collection of today's most popular hit songs for your Omnichord System Two"
Yes, a songbook made specifically for the Omnichord. 118 songs! But the best part of this book is obviously that cover! Look at that amazing anthropomorphic Omnichord! Possibly the creepiest thing ever!" via this auction See this post for one more pic. 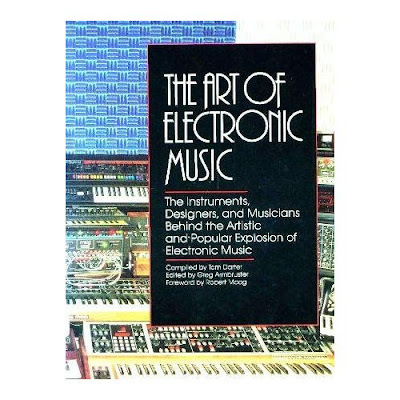 "'More Advanced Electronic Music Projects' by R.A. Penfold. 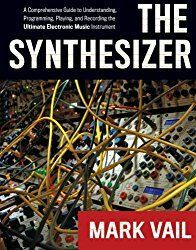 Includes DIY projects for effects such as Phaser, Phase Shifter, Fuzz, Ring Modulator, Chorus, Noise Gate, Vibrato, and more. 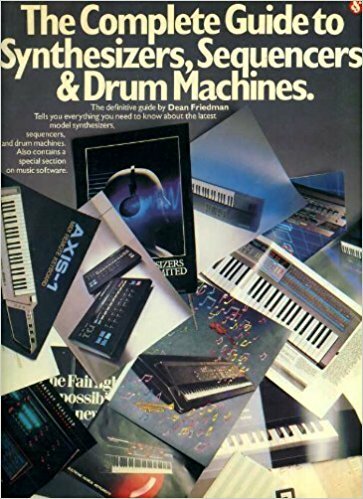 There are also projects for DIY percussion synthesizers with a range of effects including drum, cymbal, and gong type sounds. 'Each project has an introduction, plus circuit diagram, description, and any necessary constructional and setting up notes being provided. Printed circuit layouts and other detailed constructional information have not been included, and the projects are not really in the "dead simple" category as a certain amount of experience at electronics construction is really needed in order to tackle them confidently. 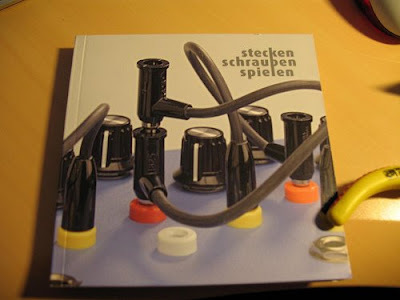 However, anyone who has built up a few simple electronics projects should have little difficulty in building most of the designs featured in this book." This book is a little rough on the cover with some bends and pen scribbles (I don't know why), but inside it's in good shape. 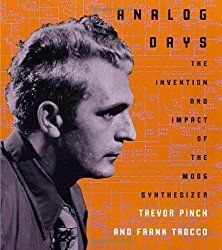 This is a great book for anyone interested in building their own effects or building an analog drum synthesizer (it would probably sound like a Tama Techstar, old Simmons module, or the PAIA DRUM module)'"
via this auction. See this post for one more pic. Basically an old textbook on electronic music and analog synthesizers, you can learn a lot about making electronic music with synthesizers by reading this book. 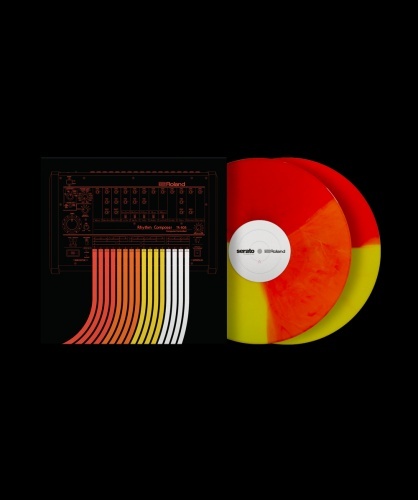 Covers all sorts of things, such as how synthesizers work, how you hear different frequencies, how to record synthesizers, how to use them in interesting ways live, and examples of how others have used them in the past. There are also tons of great black and white photos of old synthesizers, modular synths, and people using them live. Synthesizers pictured include: Minimoog, EML ElectroComp, Moog Sonic VI (Prototype? 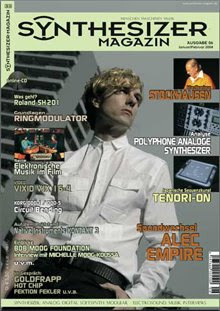 ), ARP 2500, ARP 2600, Synket, Moog Modular, EML Synthi 100, EML Synthi A, and more!" via this auction. see this post for more pics. 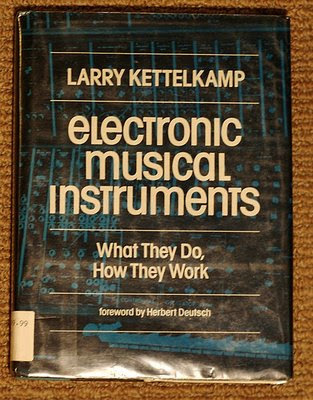 "Larry Kettlekamp shows how synthesizers, electronic organs, computer rhythm units, sound processors, and other electronic instruments were developed; how they work and are played; what they are capable of doing; and how they are being used in concerts and recordings." 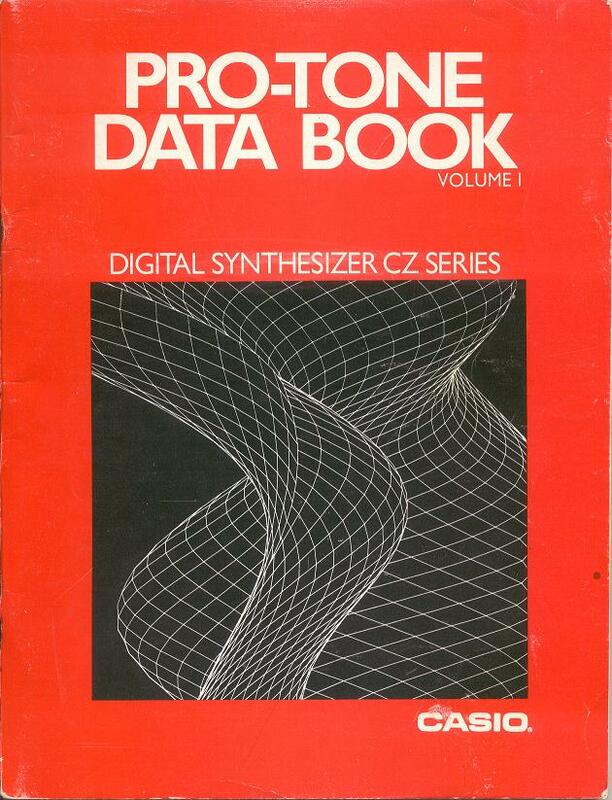 Nice old ex-library book about synthesizers and other electronic musical instruments. 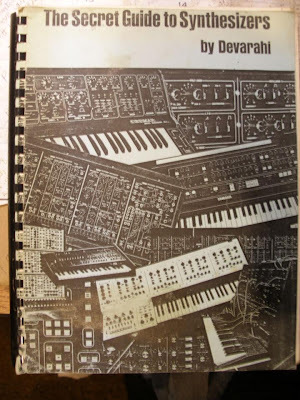 Lots of nice black and white pictures of gear such as the Minimoog, Korg Polysix, Moog Opus 3 , Moog Liberation, Polymoog, Roland TB-303, Yamaha CS-01, and more. 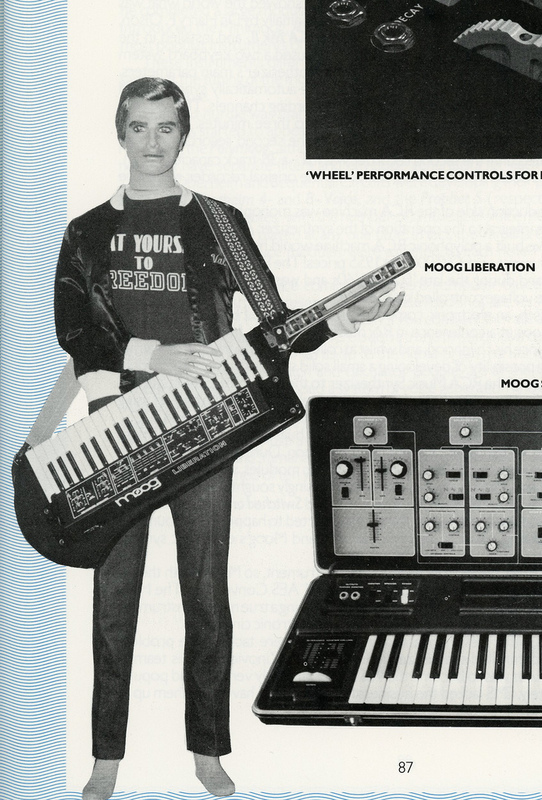 Nice picture of Bob Moog with a Moog Modular, Minimoog, Sonic 6, and accessories, worth the price of the book alone!" "Probably one of the coolest books I own." 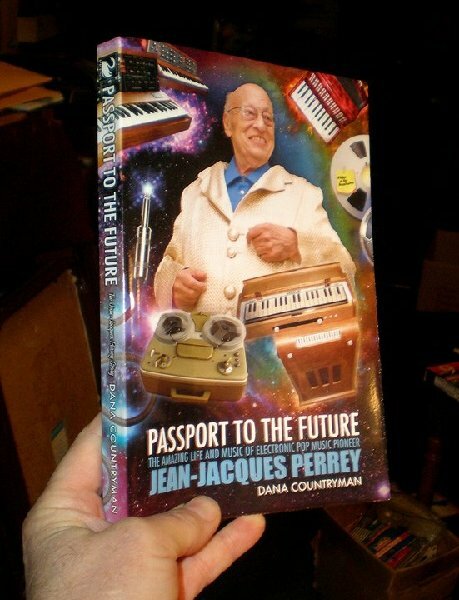 "My biography, "Passport To The Future: The Amazing Life and Music of Electronic Pop Music Pioneer Jean-Jacques Perrey", is out NOW! Available online, and in select bookstores. These books and others by Simon Cann are available on Amazon. 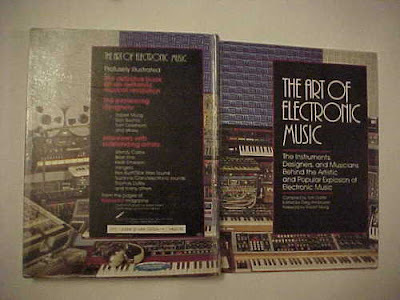 Roland's "A Foundation For Electronic Music"
Probably one of the coolest books I own.